Do you love long hair? Well, these days, the fashion of long hair with bangs is quite common and the majority of the girls are falling for this hairstyle. There is no doubt that hairstyle affects the whole personality as it can even make aged women look younger. The personality is defined by the style you adopt and if you have long hair, it is really a blessing. There are unlimited styles that can be made with long hair especially if you love bangs. The layered haircuts with bangs are common in girls who want a bit wavy look. 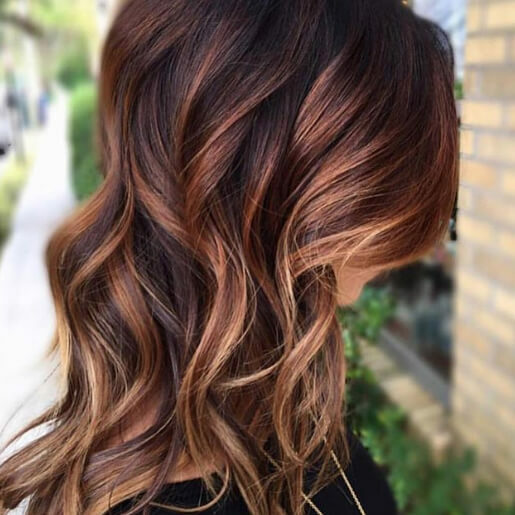 So, are you looking for a style that can go well with your long layers? The long hair with layers can be adjusted in wonderful ways once you choose a suitable style. Well, in this blog, we have tried our best to introduce amazing hairstyles. However, it is vital to choose the long hairstyle with bangs that can match your personality too. In short, this blog will prove amazingly helpful for all who do not want to cut their long hair unnecessarily. 2. Wavy Layers plus Bangs! 4. Shattered V cut Hair! 5. Messy Layers and Bangs! 6. Rock n Roll Haircut! 8. Long Shaggy Hairstyles For Thick Hair! 10. Red Blonde Huge Curls! 13. DarkV Shaped Haircut Long Layers! 19. Razor Cut Hairstyles with Bangs! The ultimate swag is really a unique hairstyle that suits to a few personalities only. It is an old style with thick bangs on the forehead and textured layers on the shoulders. 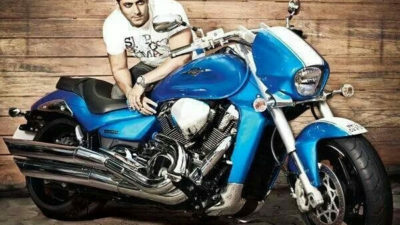 Well, if you love the bossy look, you should surely go for this style. It is not vital that you maintain extra-long hair for this style because it goes well with the medium length too. The wavy hair really looks cool and adds elegance to the personality. The bangs can be put on the left side or in the middle of the forehead. It is one of the best-layered haircuts with bangs. There is nothing to do with layers as if you have a bit wavy texture in the hair, just leave it in the original form. The same hairstyle is adopted by famous actresses too and it doesn’t require extra time to make. The side swept sandy blonde is a real hit of these days. College girls are getting crazy for this style and the short haircuts style has really gone viral. 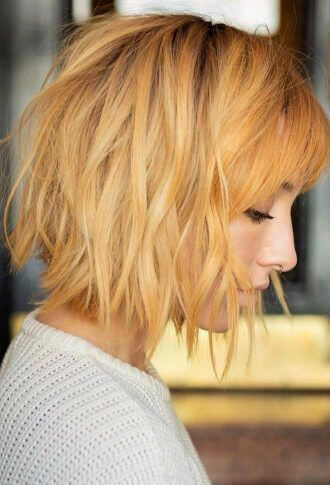 The girls with layered hair should definitely go for this style for an updated and changed look. It suits almost all faces and the hair length is also not affected badly. In short, you will not have to lose your hair unnecessarily. The shattered V cut suits all types of hair whether wavy or silky. If you are a party lover or have a music band at school, let this hairstyle giving you a rock star touch. The artists are also attending red carpets with the same hairstyle. The messy layers of hair simply go perfect if some stylish bangs are also left in the front. 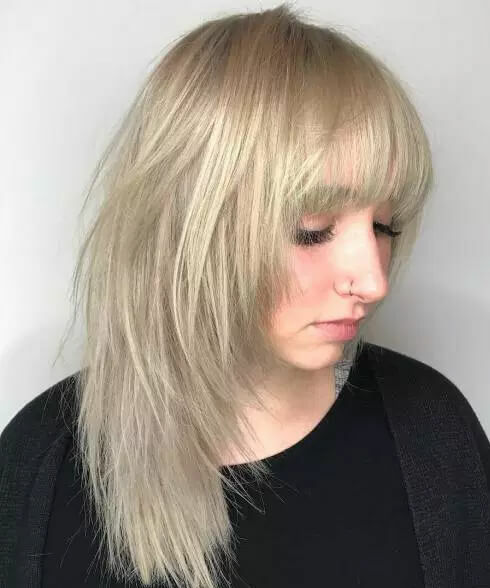 You won’t have to go out of the way or trimming the length of your hair, the bangs are cut down from the front and the length of the hair will be the same as before. The best thing about long hair with layers is that you can keep them messy or uncombed because such a style doesn’t look awkward. The rock n roll haircut is quite amazing and is famous among teenage girls. The actual picture of this hairstyle is keeping the bangs on both sides while splitting the hair from the middle. If you want a long layered hairstyle with side bangs, rock n roll haircut is one of the best styles to go with. You can put the layers on the shoulders as it actually looks cool. The curls are always gone –to option for everyone. Having long hair means you are lucky enough to make the hairstyle of your own choice. Putting some curls near the ending point f hair means you can simply get a gorgeous appeal. It is not important to have bangs with this hairstyle but if you are above 33, adding bangs can help you look younger. Thick hair looks good with almost all styles. 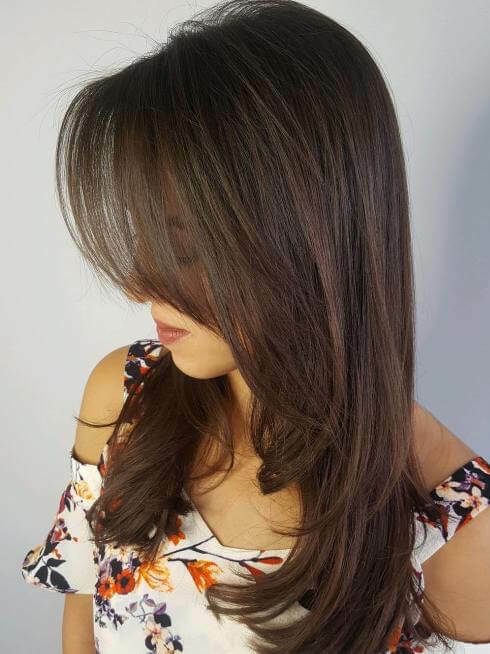 Well, when you go for the shaggy cut, you’ll get plenty of short layers that look so wonderful that people may love to stand and stare at your hair. The layers move in a wonderful motion when you move your head. 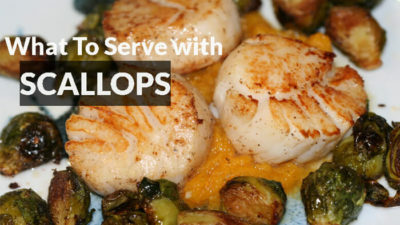 The long layers can be adjusted in a quiet elegance way. The light blonde layers of Jennifer Anniston are quite famous that this hairstyle is famous with her name. When you visit the salon and talk about this haircut, the hair artists immediately get it. Jennifer doesn’t take it with bangs but if you love bangs, you can surely go for that touch too. Long hair with bangs makes women look young and so, the bangs are always preferred. The red-blonde undoubtedly looks awesome. The huge curls basically started from the middle of the hair and reach to the end. 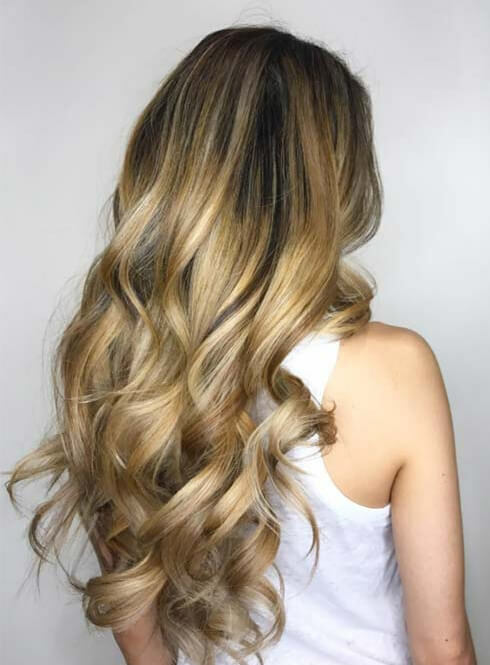 These curls cover almost half of the hair length and look fabulous too. Having layered hair means you can become the center of attraction in parties and if you dye the hair with red, you’ll surely look hot. The layered cut looks really elegant. It suits to round and slim faces equally. If you have long hair, you can simply go for long layers while having layer cut. The style is equally suitable to ladies of all ages and you can make it your go-to style for daily routine. Multiple layers are being cut but straight hair looks more beautiful with this hairstyle. It is common among news anchors too. The highlighted layers are not easy to resist. 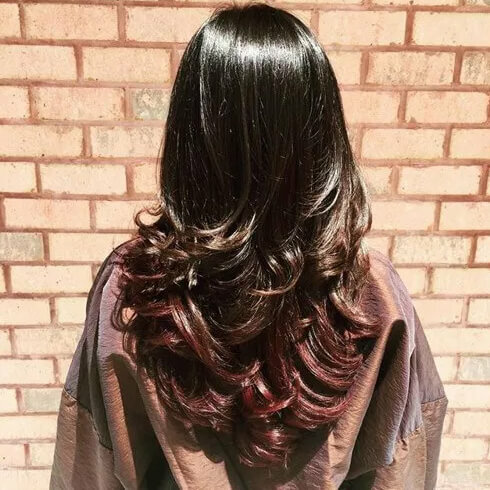 If you have long hair with silky and smooth shine, highlighting some layers with purple, pink, red, or dark brown colour can simply make you look hotter. It goes equally wonderful if you choose long hair with bangs. It has been noticed that bangs can suit almost all types of haircut until the hair length is long. The dye goes well if you choose a dark colour. 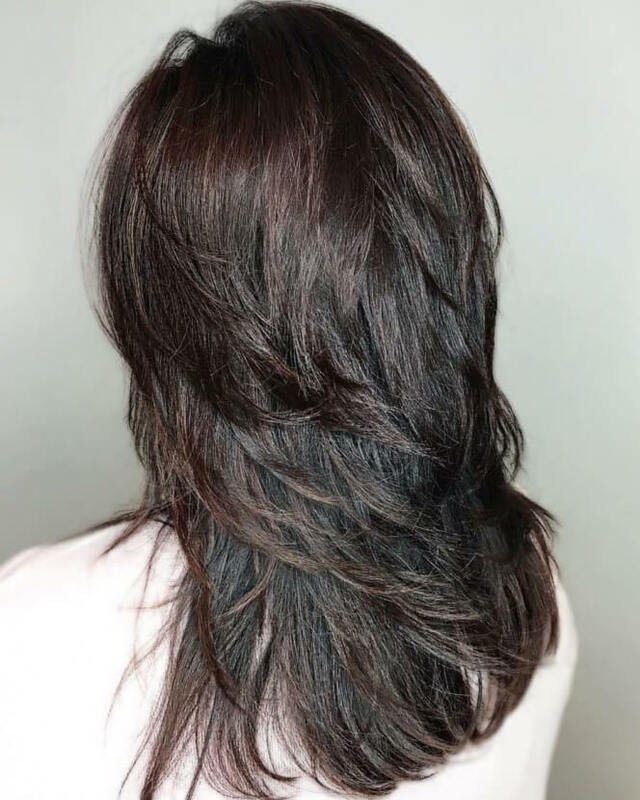 Dark brown shade looks incredible with V shape cut. However, the best thing about V shape haircut is the slim look of face you can get especially if the face is extra chubby. The dark colour of hair basically adds elegance to your personality and look stunning too so when you choose V shape haircut, make sure to go for dark shade only. 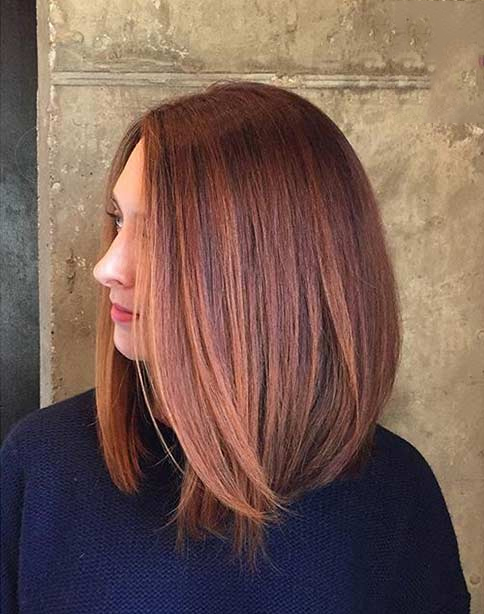 When asymmetrical lob is selected with long layers, it proves perfect to change the look. 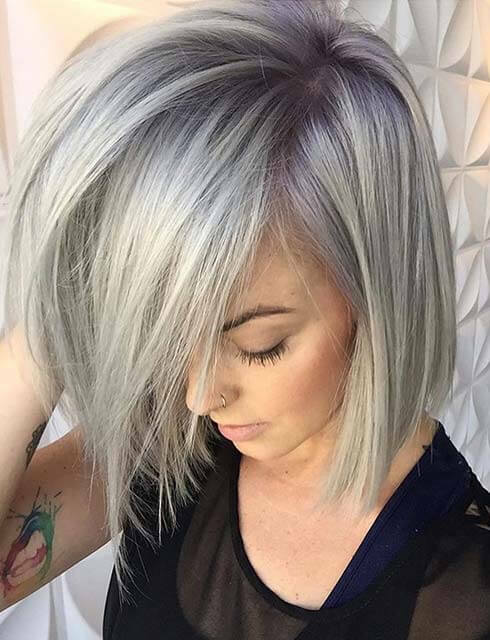 Majority of the people know this style as long bob. Most of the time, artists suggest to not cut the bangs with this style but it depends on the face cuts as well. However, this long bob looks cute on the chubby face too. 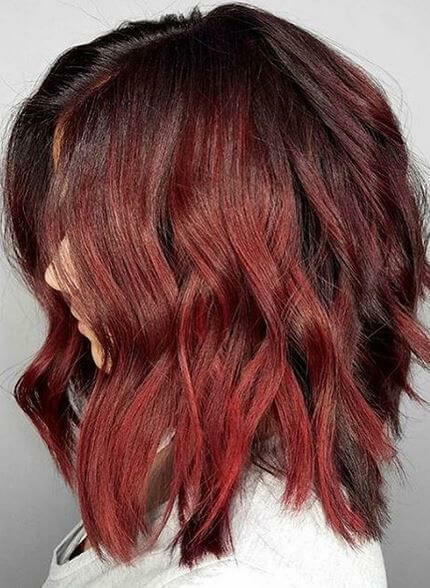 If you do not want a typical design for your layered hair, cherry coke balayage is the best option. In this hairstyle, the curls start from the quarter and go till the ending point. 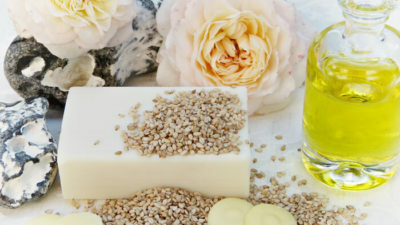 If you love curls, you can go for permanent curls however it is always suggested to rely on temporary curls only. 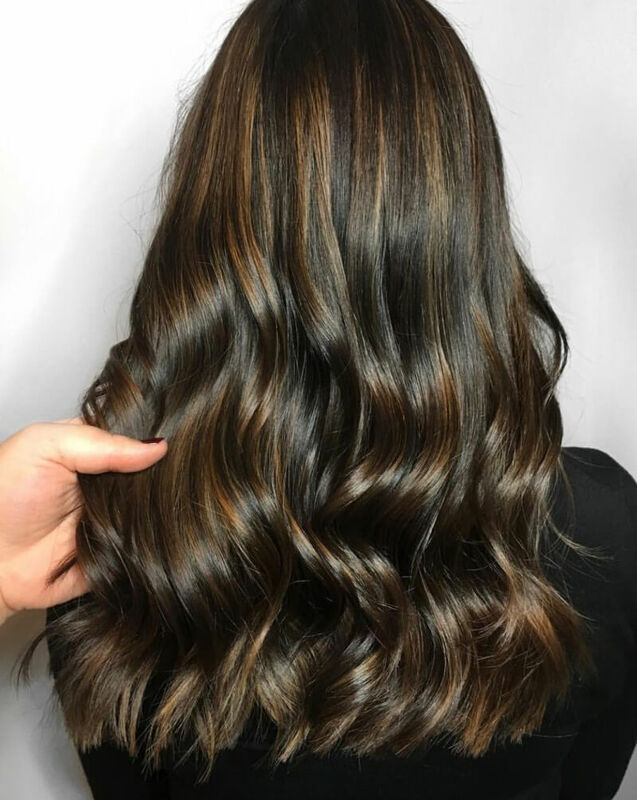 If you choose a few highlights for the hair, the chestnut layers will go amazing. The girls who have long layers should try this style at least once because it can give you a hit in the parties as well. The medium bob is perfect for the ladies of all ages and it doesn’t even highlight the chubby face as well. The medium bob is good for girls who do not have long hair. So, you can simply wear this hairstyle for everyday routine. It looks amazing with the office outfit and parties as well. However, if you have silky and smooth hair, the medium bob shouldn’t be ignored. Multiple layers with fine locks suit every girl. The feathered layers when blended with V shape haircut, the overall look becomes more amazing. The feathered layers ultimately prove amazing with all outfits. It is equally common in eastern and western culture but if your hair is not healthy enough, you can consider another hairstyle too. A razor cut is a perfect option for long hair with bangs. The amazing choppy look of the hair gives a wonderful touch to your personality. The healthy hair when styled with step away layers, the elegance that is added to the personality becomes irresistible. The layers are slightly swept outwards and you can adjust bangs on the forehead as well. The swept away hairstyle is famous among film stars too and most of the heroines dressed up with this hairstyle.